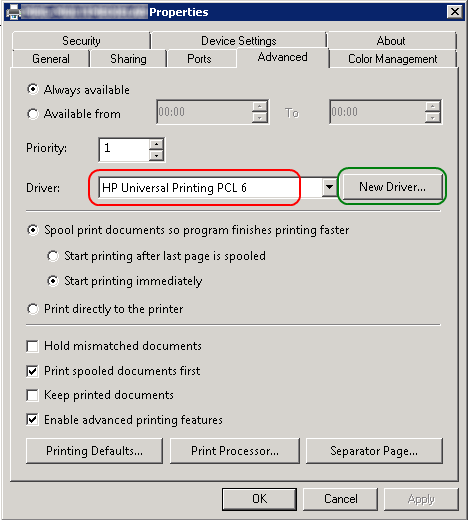 This will save traffic from the clients to the printer every time a user views the properties of the printer, thus speeding up the printer properties dialogue. If you install new equipment on the printer; temporarily enable bidirectional support to update the printer on the server. Instead, use the New Driver button right next to it. If you use the drop down box it is a good chance that the printer will not load all the DLLs and other files that it needs. This is a common fault with printers not displaying the correct features etc. 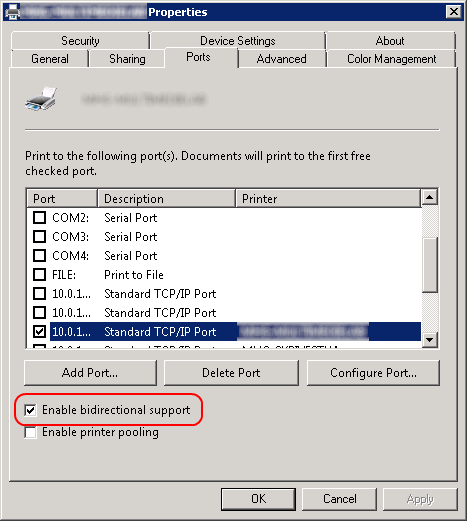 If you are having problems detecting the features of the printer, try to enable SNMP through any firewall that is between the server and the print device. Also, the SNMP functionality is usually implemented in the driver itself, and as such is not dependent on the SNMP functionality in Windows. This might be so, but the benefits of using only one driver per printer manufacturer far outweighs this problem, in my mind.